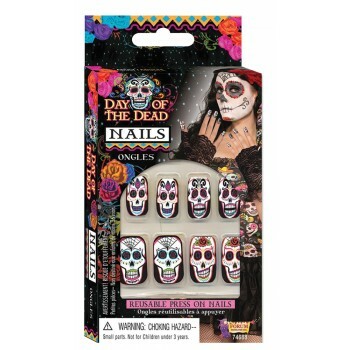 A great accessory to complete your Day of the Dead outfit. 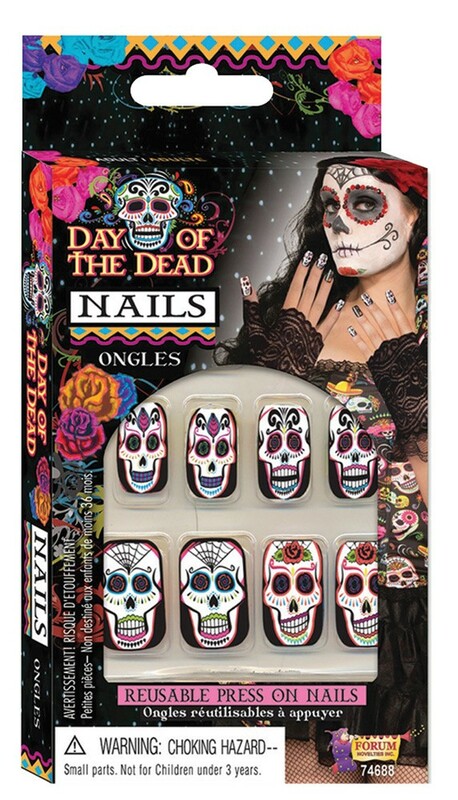 Reusable press on nails with various sugar skull designs. One size fits most.